Tesla Motor Club Forums members are posting images from a Facebook account which followed a prototype Tesla Model S around the Fremont area. Supposedly the Model X design is done and only needs to be validated so we’re probably looking at near final design albeit camo’d with black to cover up final design aesthetics. 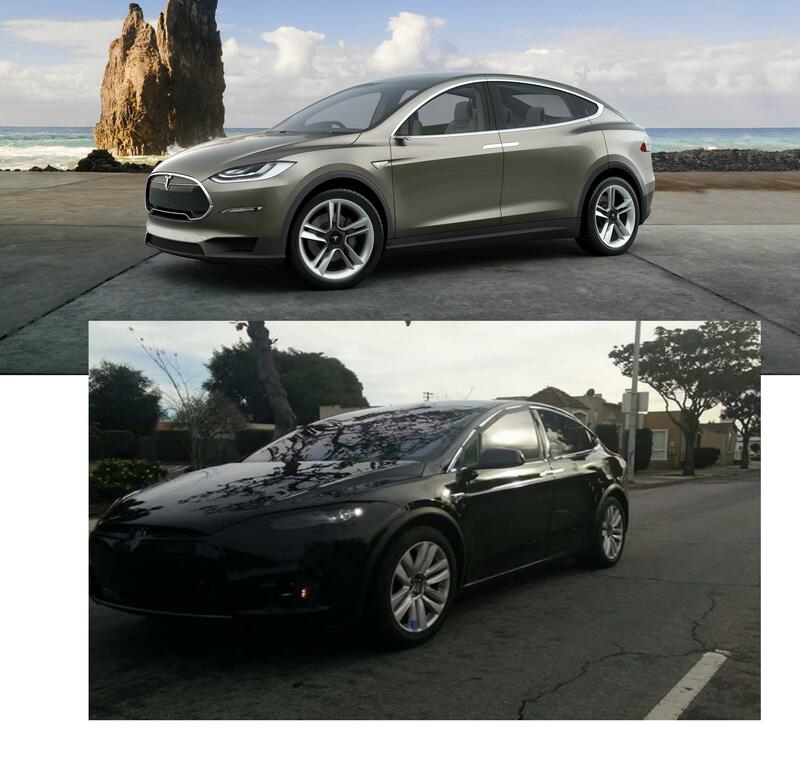 Noteworthy in the pictures is that this one has a trailer hitch which was promised by Tesla last year and a redesigned sportier front as you can see in the comparison picture below. It will be interesting to see if the Model S also gets a redesigned nose. One of the nice things about the Model X front end was that the Frunk was huge. With the smaller front end, it appears that it will be more the size of the Frunk in the Model S.